After a divorce, parents who divide custody evenly will often have their children switch between the two parents’ homes. If this arrangement is not handled thoughtfully, children may end up feeling like neither parent’s residence is truly their home. Consider some of the following approaches to make each house feel like a place where your children belong. Make sure your child has a space that’s just for them: Switching between homes can leave children feeling as though they don’t belong in either home. Make sure your child has some space in your home that they can decorate and make their own, even if it’s only a dedicated portion of a room for their toys or crafts, or a bedroom shared with a sibling. Allow your children to leave certain items behind in each home: Moving from house to house regularly means that your child will be in a constant state of living out of a suitcase if they can’t leave certain items behind. Even if it means buying certain duplicate items, make sure there are at least some items that your child doesn’t need to pack. If your child forgets their overnight bag or there’s a sudden change of schedule, make it so that your child would have the essentials already waiting for them at either house. Make sure there are comfort items for your child in each home: In order to feel truly at home, your children need more than just basic care items like clothing and toiletries. Make sure you have the snacks or treats your children love on hand, as well as movies your kids love to watch and comfort items such as pillows or stuffed animals they love. Find a routine that works, and stick to it: Having to switch from house to house can be disruptive, especially when one or both homes is chaotic and unpredictable. 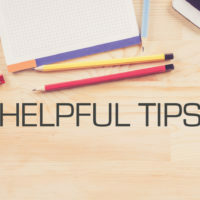 Help your kids feel more at ease and as though life is under control by maintaining a routine in each home, such as by allotting set time for homework, TV watching, dinner, and bedtime. The routines need not be identical in each home, so long as the child knows what to expect with each parent. If you’re in the beginning stages of separating from a spouse, get skilled legal help in filing for divorce in New York by contacting the effective and knowledgeable Hudson Valley family law attorneys at Rusk, Wadlin, Heppner & Martuscello, LLP for a consultation, in Marlboro at 845-236-4411, or in Kingston at 845-331-4100.